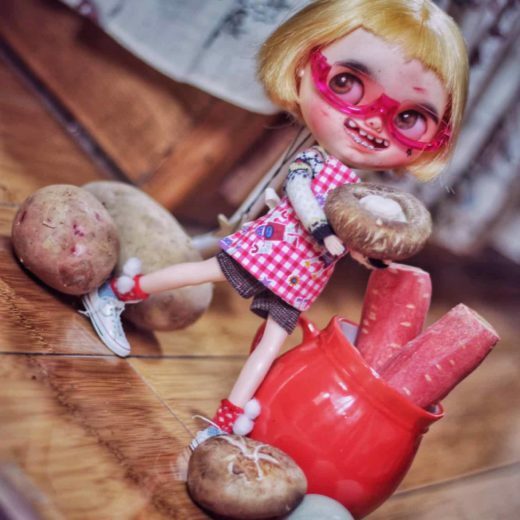 I was very interested in painting, crafting and collecting various kinds of interesting stuff since I was a child. 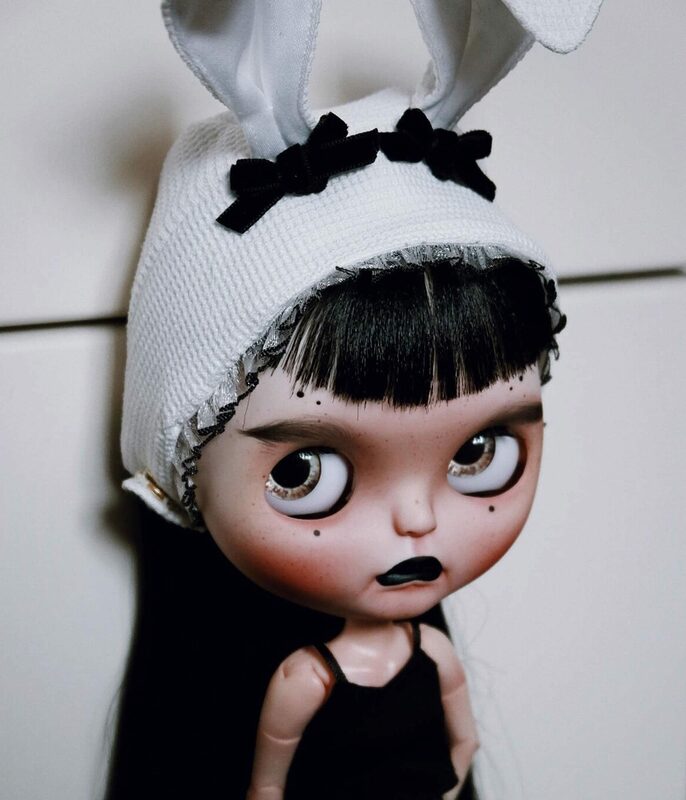 I remembered when I was in primary school about 15 years ago, I was pleasantly surprised to get some Blythe stickers. 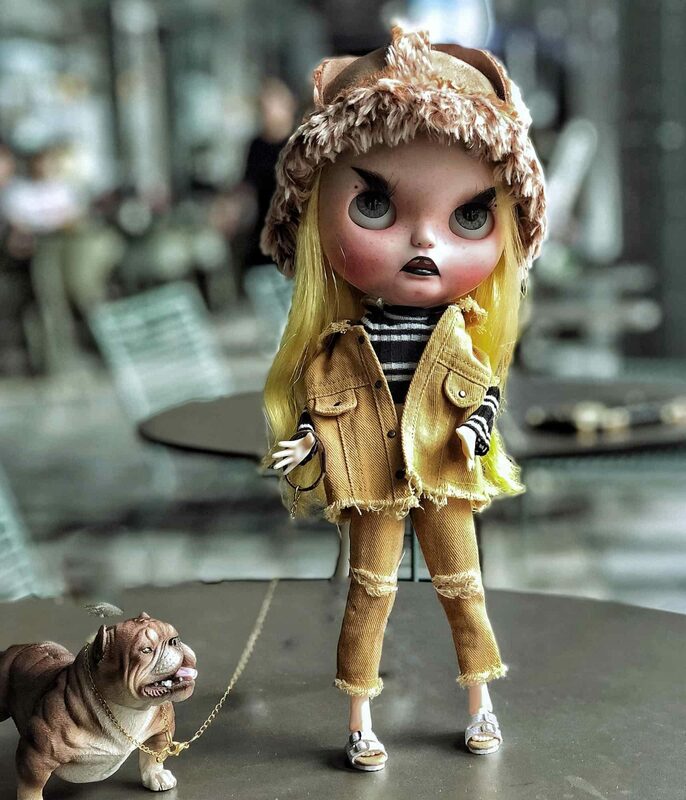 That was the first time I saw Blythe and was attracted to this cool girl with beautiful eyes immediately. Then I put the Blythe stickers everywhere in my bedroom so that I can see her all the time. 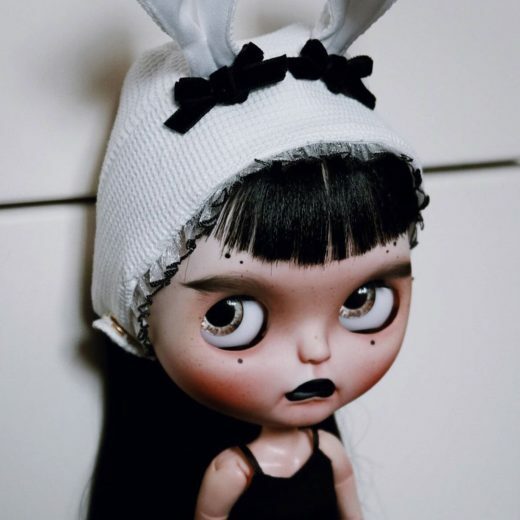 I got my first actual Blythe in my senior year. 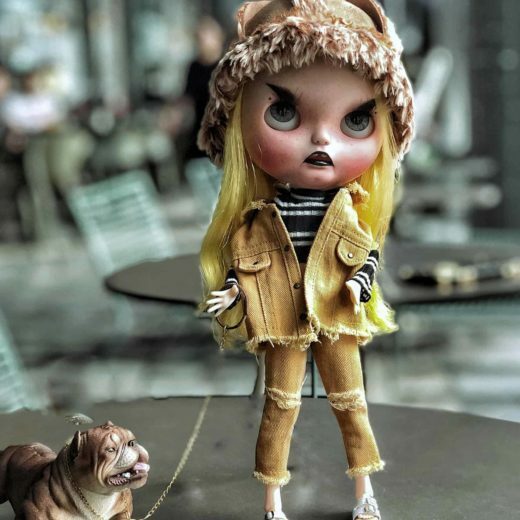 Meanwhile, I made some friends who also liked Blythe as much as I do and we always hang out with our Blythe dolls. Then I started to customize Blythe dolls. It took me a while to find my own style in the beginning. 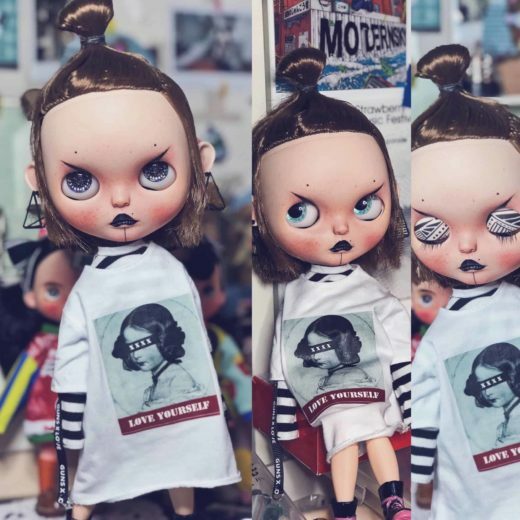 In my mind, Blythe is a cool little girl. She’s not a big fan of pink skirts and sweet songs. 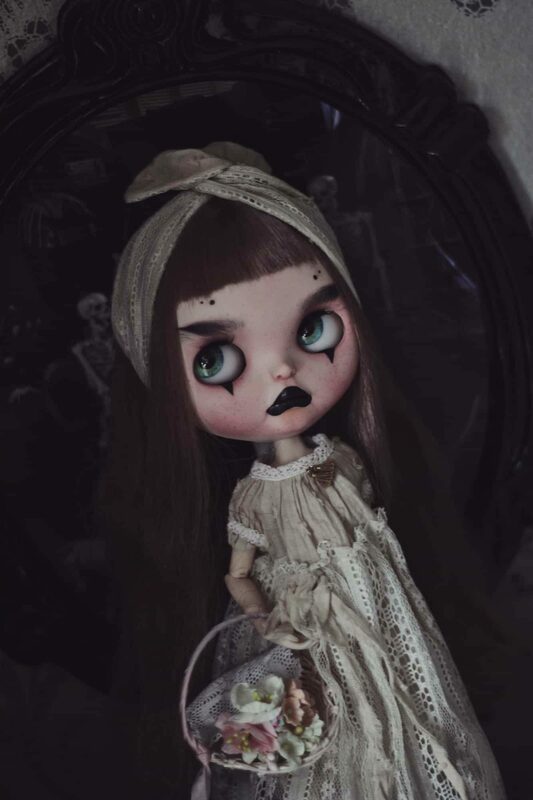 My first customized Blythe is a magician who likes to wear a cloak. 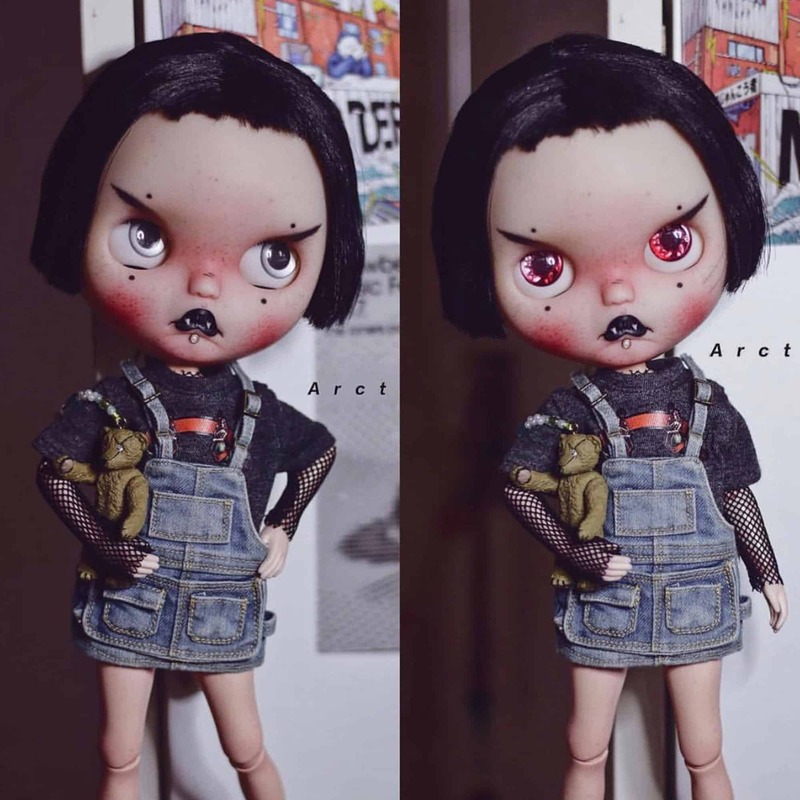 From 2017, my Blythe became popular gradually, more and more people started to contact me and want me to customize her for them. The most popular two collections of my design are “Naughty neighbor child” and “Vampire punk band”. 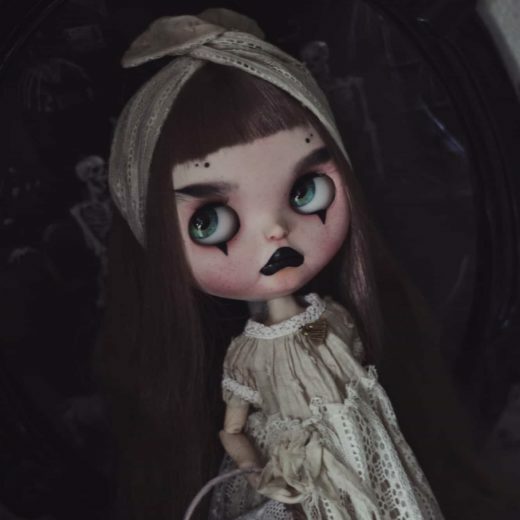 Now, Blythe is part of my life. 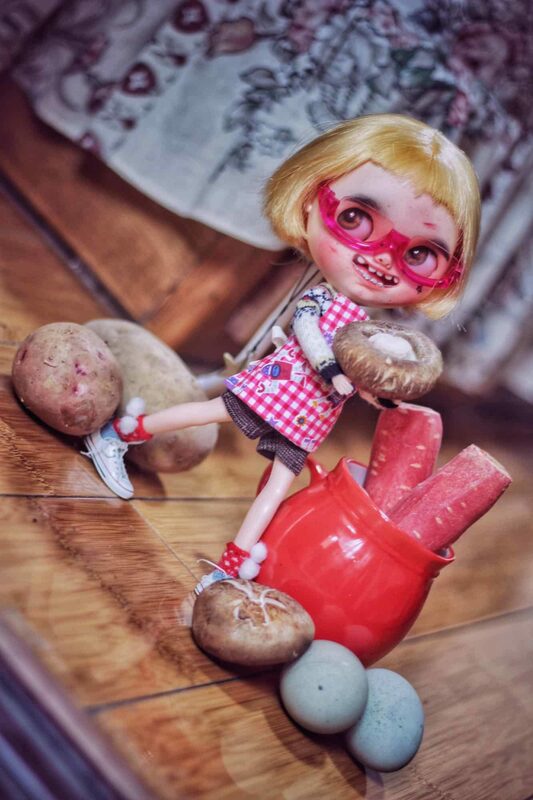 I thought the happiest time of the day is sitting in front of my desk and carving a Blythe.